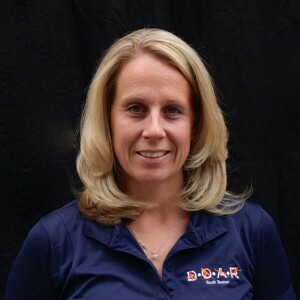 Katherine “Kat” Fisher is a licensed Physical Therapist Assistant at Danville Orthopedic & Athletic Rehabilitation. Her specialties include pediatric Physical Therapy for developmental conditions and orthopedic Physical Therapy for all ages. She is an expert in therapeutic exercise, aquatic therapy, and neuro re-education. A native of Halifax County, Kat earned Bachelor of Science (BS) in Sports Medicine, Averett University, Danville, VA. She continued her education at the Jefferson College of Health Sciences in Roanoke, VA, where she earned an Associate in Applied Science in Physical Therapy. Kat joined the DOAR team in 2011. Previously, she worked for our sister company, the Center for Pediatric Therapies. Outside of work, Kat enjoys spending time with her husband and son, traveling, and riding her motorcycle. She stays active by training for and competing in 5k runs.